It’s funny how something that is used to describe people who try to be healthy can actually be not all that healthy. 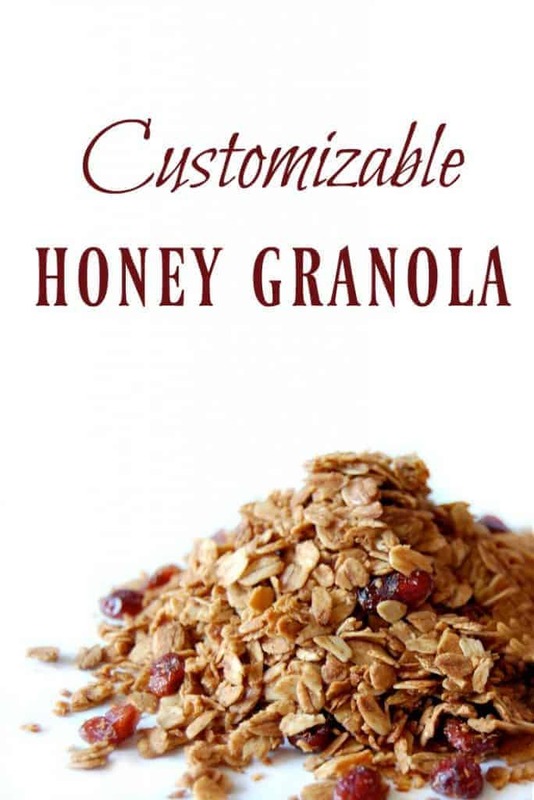 Sure people hear granola and think it’s a good healthy food but have you ever looked at a granola recipe? Most granolas are loaded in sugar. Yes, granola has lots of healthy ingredients too but when does the amount of healthy ingredients cancel out the unhealthy? I needed a healthier version of granola. I knew I didn’t want sugar and I didn’t want vegetable or canola oil. I finally came up with this recipe. I’m pretty happy with it. There is one crunchy flaw to it however; it’s not soaked to help remove the phytic acid. I’m hoping to try adapting the recipe so it can be soaked granola but I thought I’d share the original version with you until then. Stir together all the dry ingredients in a large bowl. In a separate bowl, mix together all the wet ingredients. Add the wet ingredients to the dry ingredients. Stir well. Spread the mixture over two baking sheets, which have either been lightly greased, covered in parchment, or is stoneware. Bake for 10 minutes, stir and then bake for another 10 minutes. Take out and let cool. 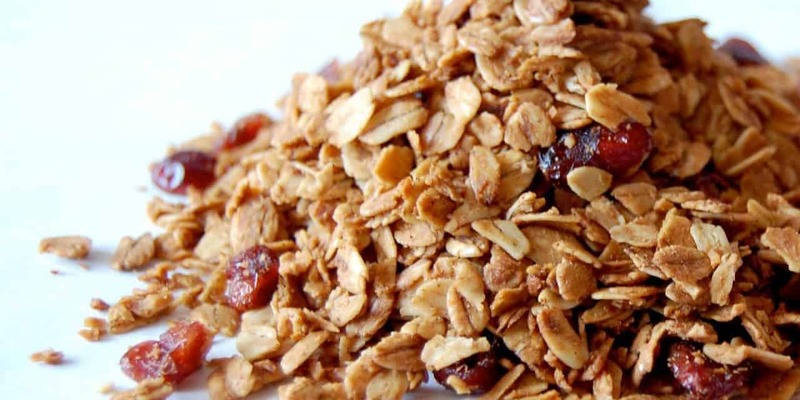 Do not be deceived, the granola may not appear crisp and dry when you take it out of the oven but it will crisp as it cools off. Mix in any remaining add-ins. Store in an airtight container. Serve with milk, yogurt, or any other way you eat your granola. So far we’ve made a cinnamon raisin granola and a cranberry coconut granola. Both have been a hit. I make a raw, sprouted, dehydrated granola. Yummy and I would consider it healthy 🙂 Let me know if you would like the recipe. This looks easier than the one I made this week! I havve been wanting to make this for a lon time! I love Granola on my yogurt and fruit, but I dont appreciate all the other junk in the store bought either!